Things may look a little different around here. Not a whole lot . . . but enough. 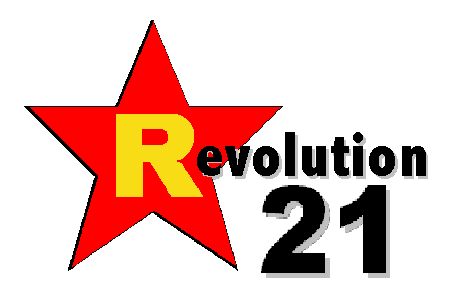 Welcome to the new look of Revolution 21's Blog for the People. The basic format is the same, but we've given the old girl a new set of duds and a little eyeliner and lipstick after several years. I like the new look, and I hope you do, too. Probably the biggest thing you'll notice is that the blog now displays a lot better on tablets, courtesy of installing (and tweaking) a new Blogger template that, at long last, will keep all the elements of this thing where they're supposed to be, no matter how you size your browser window. IT'S LONG overdue, and she'll be looking a lot less like a hot mess, all without you having to futz with the size of your browser on the computer screen. Here it is full screen on my Surface, on the right. Before, it would have looked staggeringly weird. But you probably know that if you have a tablet and have ventured over to the blog. So, that's all I have to say about that. Enjoy the new, more adaptable look of the Blog for the People.